Master Marf: California, Don't Disappoint! I don't smoke marijuana, I never have even tried it. I don't live in California so I don't have a vote on the matter. If the days of prohibition back in the 1920s taught us anything, it's that outlawing something creates a black market. For me it's a matter of personal freedom. I make the decision to not smoke it. I think it stinks and is unpleasant to be around, and it makes people act stupid. But so does alcohol. That doesn't mean that just because I personally don't like it no one should be using it. Legalizing pot isn't going to make it okay for people to drive or work under the influence any more than it is for alcohol. It will actually make it tougher for underage kids to get pot if it is legalized. The current dealers are already breaking the law, so they don't care about the age of their customers. Whereas if it is legalized, ID will be required. Most people would rather take the legal approach if convenient. 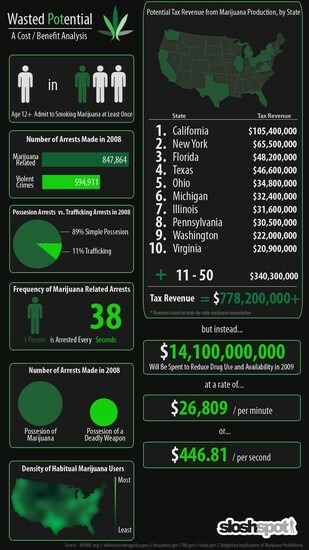 Illegal dealers won't have nearly the customer base, and not much incentive to continue illegally. It will still get in the hands of kids, there is no way to stop that. However, I'm willing to bet that it would put a nice dent in their frequency of use. 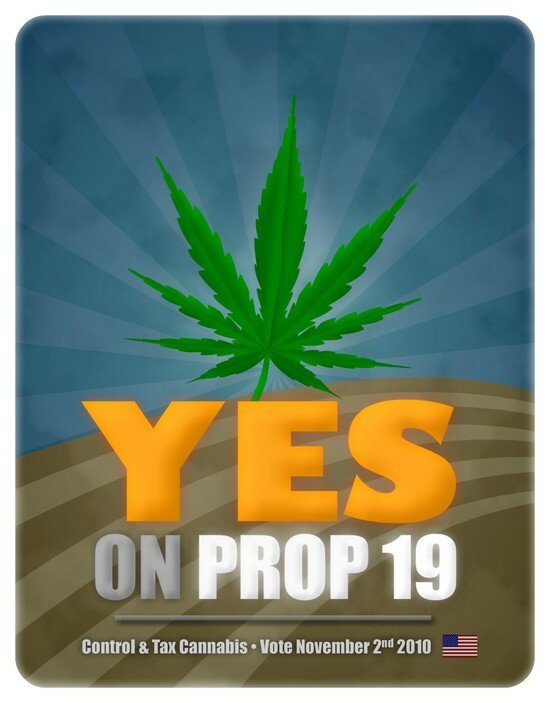 Please please please... Those of you who can, vote Yes to legalize marijuana. It's no more dangerous or damaging than tobacco or alcohol. Being outlawed causes more problems than it solves. On balance I also think legalisation is probably the way to go. I doubt that it will happen though. Lost by 7%. This surprised me, I was sure it would pass. Oh well, lets see how it goes next time. They cant keep this going forever. It will pass eventually. @ Six Legions: Yeah, it doesn't surprise me. I had high hopes, but the pessimist in me never expects things to go how I want.